The claim is made for 7QT that it is unique among broadcasters. The extreme ruggedness of the country - plus the mineralised nature of the soil itself precludes selective and effective reception from all distant Radio Stations in Tasmania, and on the Mainland. Thus the broadcasting effectiveness of 7QT is readily appreciated, covering not only Queenstown alone, but the entire west coast. 7QT has been 8 years in operation, having been officially opened on May 31st, 1937. It operates on a frequency of 680 K.cs and a wavelength of 41 metres - the aerial power being 300 watts. Both Studio and Transmitter are situated in Conlon Street, 1½ miles from the centre of Queenstown itself. The executive Staff consists of MISS IRENE S. WEDD (Manager and Chief Announcer), ARTHUR O. CHELLIS (Engineer and Announcer), RALPH TREMAYNE (Announcer) and MISS MAUREEN S. NICHOLS (Clerk and Announcer). The Children's Session is conducted by "AUNTIE PAT" - assisted by "UNCLE BEN." The "Chums" eagerly listen to the travel talks and fairy stories in which Auntie Pat specialises. The Women's Club, inaugurated five years ago by MISS I. WEDD has nearly 1,000 members, drawn from all centres of the West Coast. During the war sterling service had been rendered to patriotic efforts by members of the Club in towns and districts. Another fact that points to the popularity of 7QT is that nearly 1400 Birthday greetings were broadcast over the Station during 1945. Commentaries and news upon local Football and Cricket are given by RALPH TREMAYNE. Popular Sessions commanding an almost 100 per cent. listening public are "Can you Stump Us?" presented by the Central State School Parent's Association, and "Early Days in Queenstown," by W. McGEE. As these Sessions have a purely local touch they appeal to old residents and newcomers alike. By establishing a modern transmitter providing this area with a local quality programme, 7QT has rendered a great service to radio entertainment on the West. It guarantees the sponsor a complete and intense coverage of this rich zone. 7QT offers a fine opportunity to National Advertisers, contracting as it does direct with business houses. All the workers here are working. They earn good money. Pay rolls up to £16,000 from one company alone attest it. They are all definite prospects for those who have something to sell. 7QT is the only Broadcasting Station on the west coast. 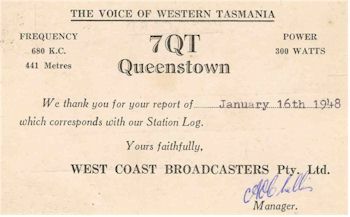 7QT Listener card issued in 1948. © Keith Robinson Collection, Radio Heritage Foundation. Broadcasting Hours are: - Monday to Friday, 10 a.m. to 12 noon, 5.30 p.m. to 10.30; Saturday, 5.30 p.m. to 10.30; Sunday, 6 p.m. to 10.30. 7QT is a member Station of the Tasmanian Coastal Network. The Directors of West Coast Broadcasters Pty. Ltd. are: N. A. Findlay (Managing Director), A. E. Garrott, S. V. Sydes, A. P. Findlay and B. McCann. 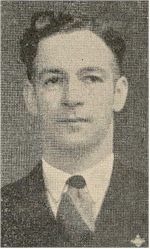 A. E. Garrott, F.C.A. 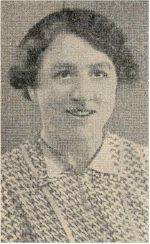 (Aust. 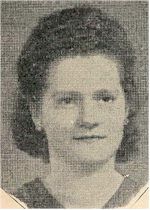 ), is Secretary, and S. V. Sydes, Consulting Engineer. '7QT Queenstown - Conqueror of Mineralisation,' Broadcast Year Book and Radio Listeners' Annual of Australia 1946-47. Digital version of text, images and layout © Radio Heritage Foundation 2007.